Description of names in general language dictionaries has always been an area of dispute. 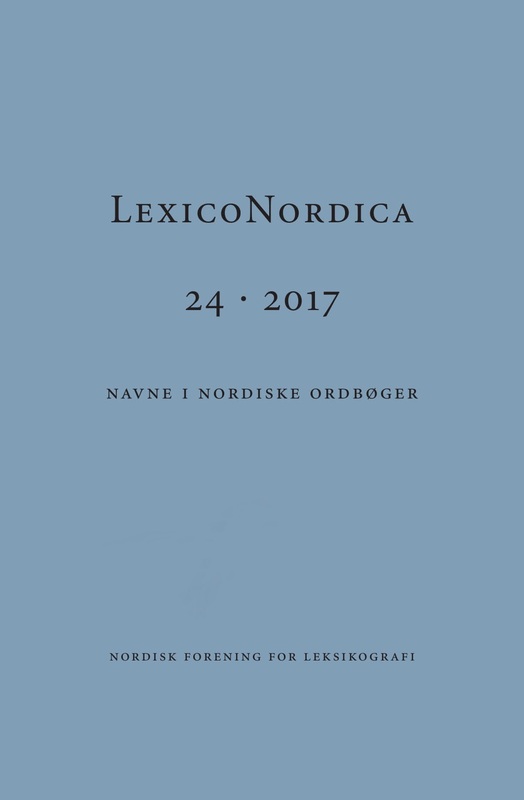 A small survey of the most popular dictionaries in the Nordic countries shows that, with a few exceptions, the overall policy has been not to include names except where they are used metaphorically or in set phrases. However, since the main argument against inclusion is space-saving considerations dating from the paper era, maybe the time has come to attempt another approach. In this article we give an account of the aspects involved and suggest possible solutions if The Danish Dictionary should decide to include names on a larger scale.